A very rare maxi-single released only to the DJs and clubs in America, in support of their ’98 American release of Sing or Die. 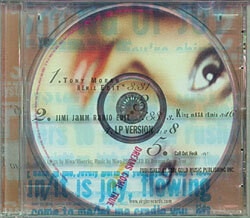 The Tony Moran & Jimi Jamm remixes are utterly fantastic! It would be well worth your time to try to find a copy of this single. (I found mine on eBay).